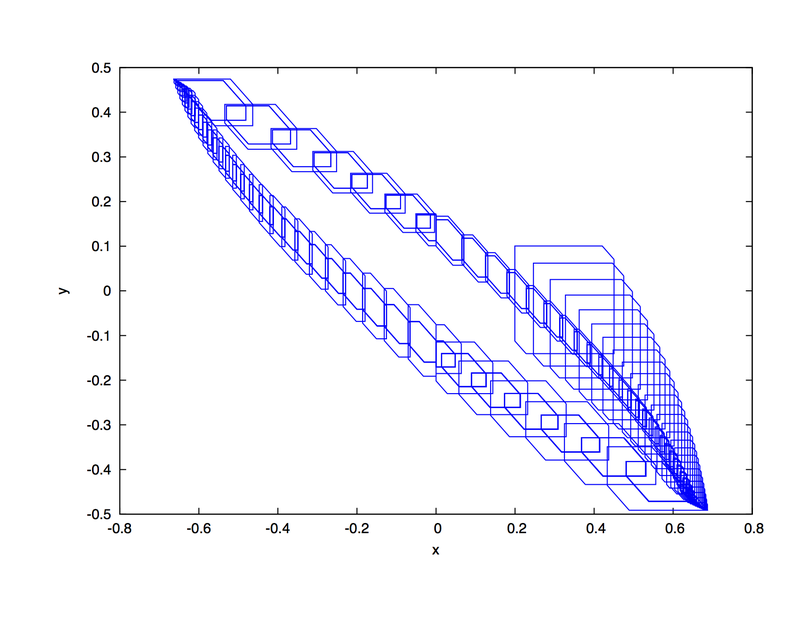 The model consists of a 2-dimensional oscillator and a k-dimensional filter. The total number of variables is k+2. There are 4 locations and 4 jumps which form a loop over the locations. One may refer to the following links for more details. We consider k=32, and add a time-varying disturbance ranging in [-0.01,0.01] to the derivative of each variable. We take [0,10] as the time horizon and limit the jump depth by 20. The following figure shows the box overapproximations for the flowpipes computed by Flow* 2.1.0. The total running time is around 60 seconds.